It is a truth universally acknowledged that a child, after a long day of school work, must be in want of penny candy from the corner store. Growing up, it seemed, every neighborhood from Belleville and Nutley to Bloomfield and Montclair, New Jersey all the way to Ashtabula, Ohio, and beyond had a candy store within a block of every school. Some candy stores also sold bread, cold cuts and popsicles but most of the mom and pop stores sold a variety of penny candies and other knick-knacks, doodads, and ding-a-lings the kids loved. Baseball and football cards topped the list, of course, for the guys. We had a candy store, Silac’s, on the corner of my dead end street at Gless Avenue and Meacham Street in Belleville. That’s all I remember of the name because it closed when I was about five or six years old. But for me, Silac’s might as well have been a three-story candy store for all the treasures it held. In reality, the store was carved out of what would be the next owner’s living room. I checked in with Lon Cerami, who is a few years older than I am and lived across the street. “Who could ever forget Silac's corner store. Located on famous Gless Avenue...,” he says. I think it’s only famous because he and I lived there at the same time and we didn’t blow up the world, but that’s another story. “Ann Silac and her husband, who was always smoking a cigarette with a holder, owned the place. But I used to see more of her than him,” says Lon. “I remember her husband but can't remember his first name. 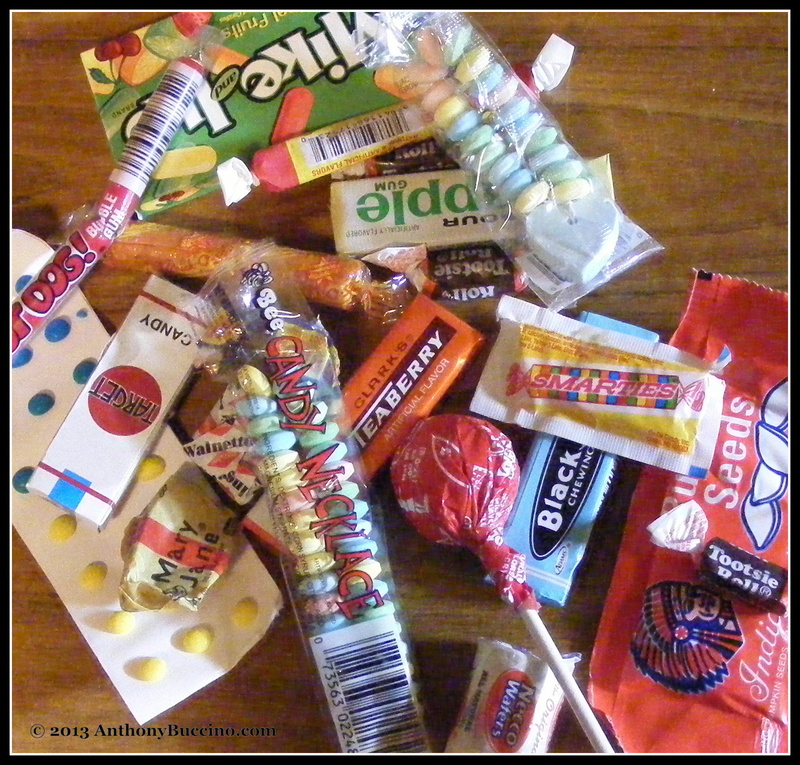 “All the candy was a penny and the more expensive stuff was only a nickel. Her kitchen was right off the store so she can see people as they walked in. To enter, you had to go up a few stairs on the front. As you opened the door, a bell would ring once telling her that someone was in the store. The candy cabinet was to the right, actually in the front of the store and her deli section was to the left. In back were all the dry goods. They had a Coke machine and I remember the iceman bringing ice which would last about a week. Then he would come back. “Empty bottle cases were in front of the soda machine and if you brought in any empty bottles, she would give you two cents per bottle. “I remember when I used to walk in, and before she would come out of the kitchen, I would be laying down a case of empty bottles making believe I had just brought them in. All I did was pick up the empty case and as she walked out, set it down on top of the rest, in which she would give me 24 cents.” Cerami still laughs at his little joke. 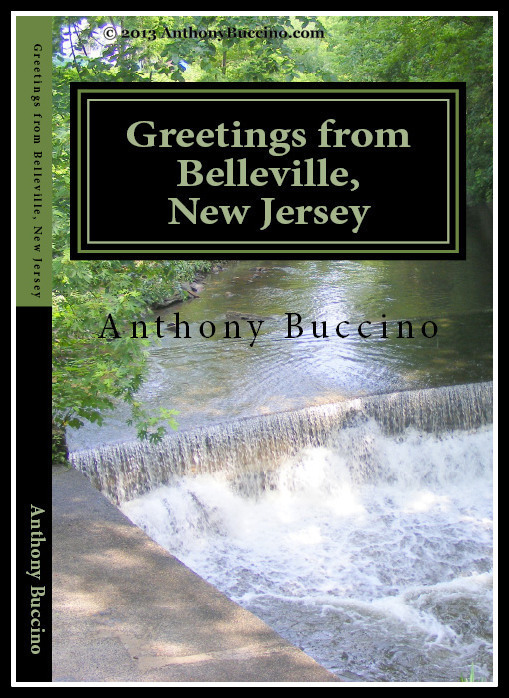 Because Lon and I lived on the Belleville-Nutley border, it was common to stray into the next town and stir things up there. Around the corner, on Harrison Street, between Gless and Entwistle avenues., was our fall-back candy store Bill-Tone’s. It was where a lot of the older Holy Family School kids went and bought lunch instead of brown bagging it or going home. But for my friends and me, we walked in the store, past the butcher and cold cuts counter, and headed immediately for the back room where the candy counter held Circus Peanuts, candy cigarettes, wax bottles of unknown fluids, wax lips, candy bracelets, NECCO wafers, chewing gum and Mary Jane candy, of course, and Peanut Chews. Lon remembers Chris' Cozy Corner from the 1950s and 1960s. “Chris and his wife Amanda owned it and it was on the corner of Franklin Avenue and Harrison Street near Booth Park. It was a great place. Everyone would hang there. I know I did. “It wasn't that big but inside there was a soda counter. Chris served light foods, nothing big. When you walked in, to the front of you was a table with all kinds of toys on it, they sold. Small cars, small trucks and all that other junk kids loved so much. In Belleville, School 7 kids living on Baldwin Place and the reservoir side of Joralemon Street went to Paganelli's, the corner store at Dawson Street and Garden Avenue for bread, cold cuts and treats like popsicles and Coke during the summer. But after school they went to Rosebud’s Sweet Shop for stuff like gum and snow cones. School 8 kids had Watter’s Dairy, or Marbach’s, and warm weather brought everybody from all over town to Jackie’s Italian ice stand. School 3 kids met at Harriet’s. School 4 kids had Zeps at Heckel and Lawrence streets. In summer, kids from my block marched down Meacham Street to the bottom of the hill and around the corner to Shubach’s where we bought what we called punks that we’d set on fire so the smoke would keep the mosquitoes away. On Saturdays and during the summer, when we visited my cousins on N. 17th Street in Bloomfield, it was always a treat to walk to First Avenue and over two blocks to cross the street where we’d visit John and Minnie’s Candy Store at N. 15th and First. That store had ice cream bars in a freezer and we’d each get to pick one out. Whichever cousin was oldest got to pay with the money we got to get out of the house. Then, we’d see who could finish theirs first before it melted or we got back to the house. 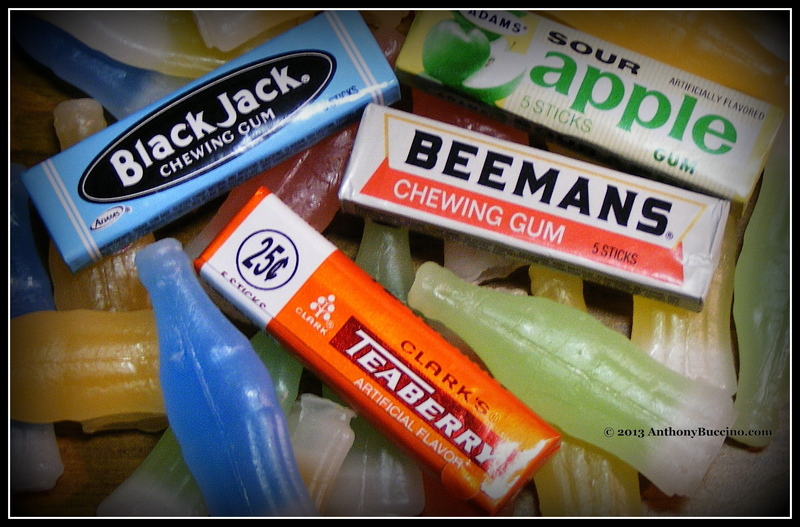 When I moved crosstown to Carpenter Street, there was Harry’s Belwood Sweet Shop where all the School 10 kids could stock up on candy the teachers would confiscate if they caught you eating in class. Before it was Harry’s someone tells me it was called Chet’s. In high school I stopped there to pick up a Wall Street Journal to read during study hall. Little would anyone then have suspected that 30 years later I’d be proofreading so many of those stories for the average reader. As soon as I got my driver’s license I started dating a girl from Orange. As I was plotting how to get there, driving mom’s single overhead cam speedy Pontiac Tempest, on the Parkway, Ma pointed out a back roads way through Bloomfield where I wouldn’t be taking her car on the super highway. Cathy lived on Chapel Street across the street from St. John’s Cemetery and the catholic school. Her family lived upstairs from the candy store at the street level. It reminded me of the family grocery store on The Many Loves of Dobie Gillis, a popular TV show from when I was a kid. We only dated long enough for her to point out that she knew all the people who carved their initials on the trees in the woods at Eagle Rock Reservation. I never got a chance to prance in the candy aisles, like Veruca Salt in Willy Wonka, and pick treats to satisfy my sweet tooth cravings. Nor did I carve initials in a tree trunk. I did, however, wheel into Harry’s for a consolation chocolate shake and a grab bag of penny candies. Thanks to many friends – known and unknown – on Facebook who inspired and contributed to this post. And, not to mention, Jane Austen. © 2011-2014 by Anthony Buccino – used by permission. Links subject to change and disappear.